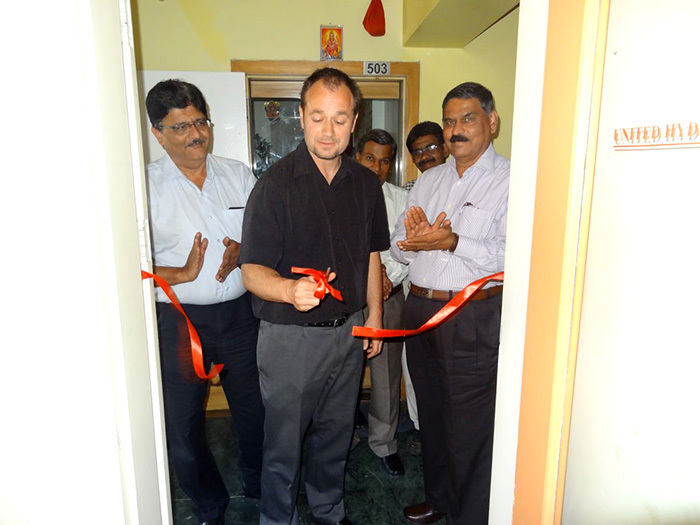 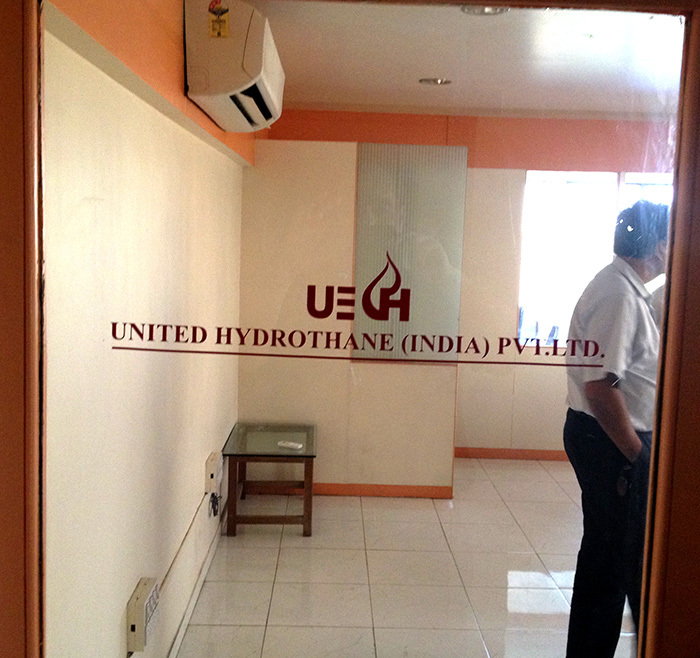 ‘United HydroThane India (UHIPL)‘ is the name of the joint venture between HydroThane and United Envirotech Pvt. 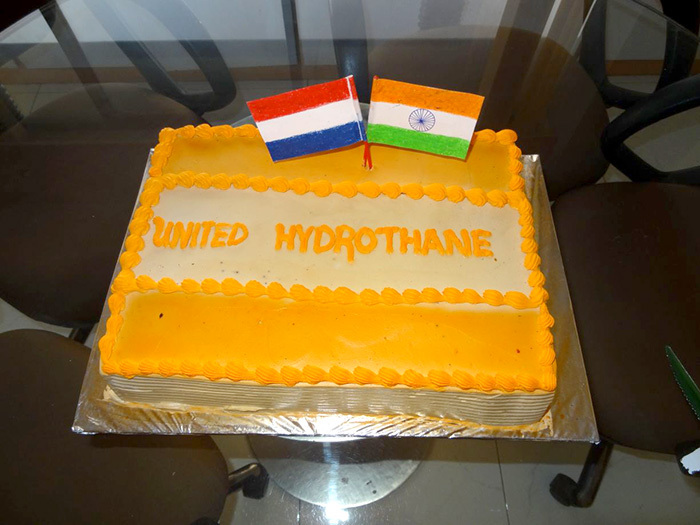 Ltd. UEHIPL will promote all HydroThane technologies for the Indian market. 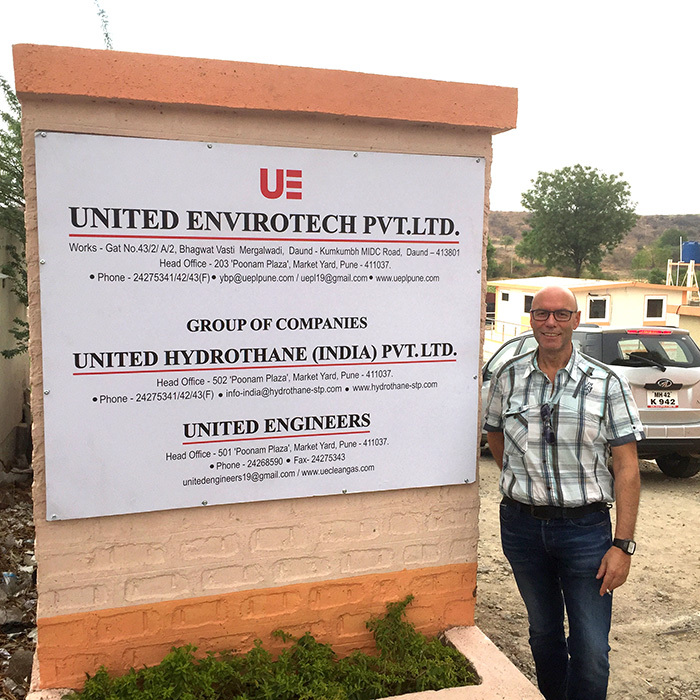 The execution of the projects (turnkey) will be done by an experienced team in India with more than 30 years of experience in design and construction of industrial waste water treatment plants. 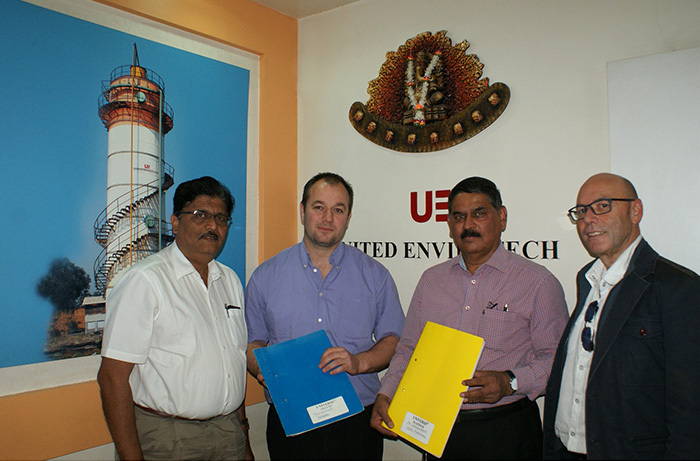 Equipment can be made in the modern and well equipped workshop of UEPL. 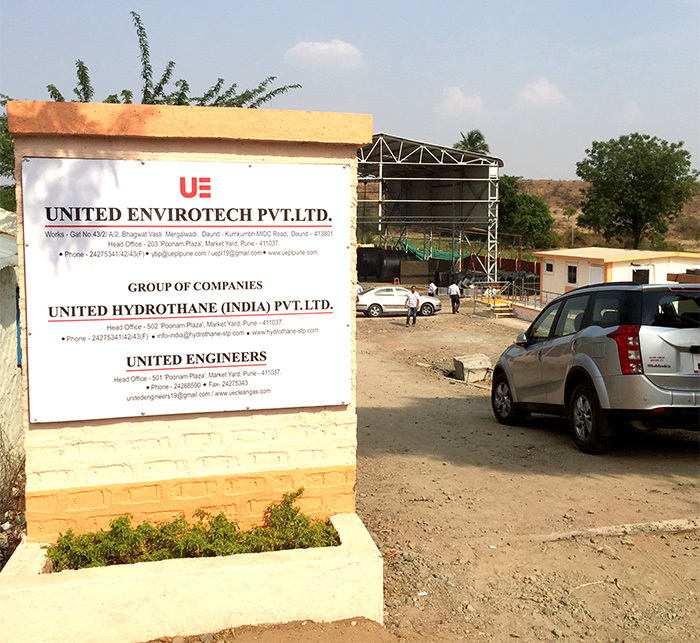 Even operation of waste water treatment plants and / or biogas treatment plants are part of the many services that UEHIPL can deliver to the clients. 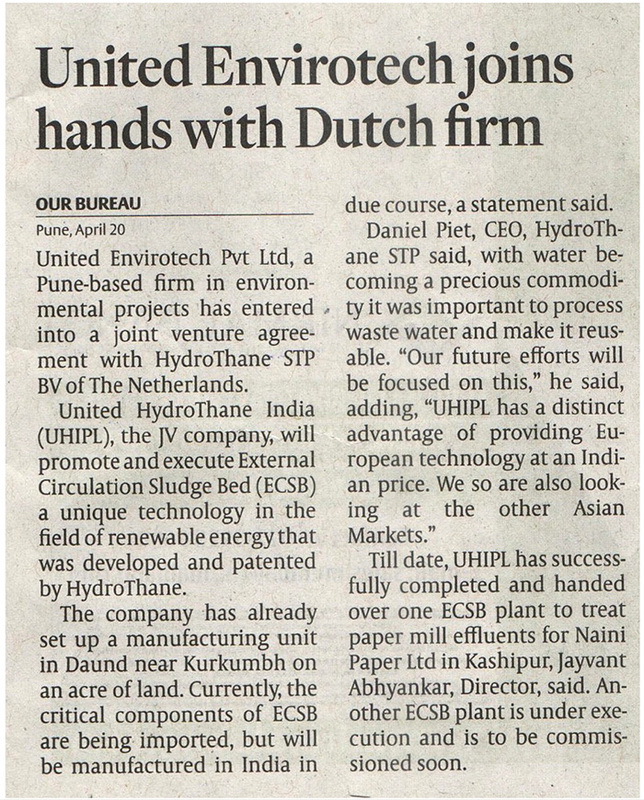 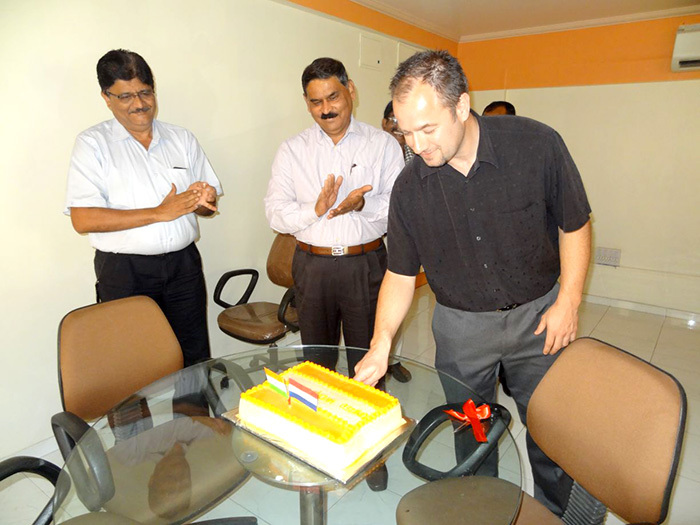 Already two successful high rate anaerobic ECSB projects are realized in India in close cooperation between HydroThane and UEPL.